Every second, a woman is choosing to see real changes in her skin. Every second, a woman is choosing Australia's No 1 selling clinical skincare. 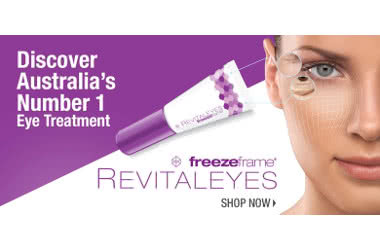 With a unique portfolio of products, freeze-frame has become Australia's leading beauty innovation powerhouse. Not only the number 1 clinical brand, they also hold the position of number 1 body range and number 1 selling eye treatment in Australia. I will likely repurchase as I'm unsure if I've been applying it properly. Feedback would be to have better instructions and a bigger tube.